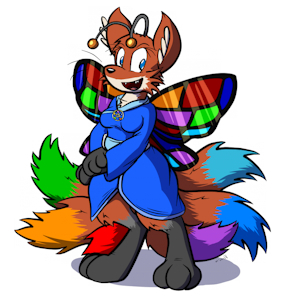 I'm thinking this is a neat little project: https://inkbunny.net/journalview.php?id=158167 soo.. check it out? I'm Alynna a faerie kitsune. PLEASE NOTE: All of the stuff I get, appears on https://i.kitsunet.net/ first. I only update Inkbunny (or any other site) when I have time. I can't draw to save my eternal soul, but I can write. So how's the social network working out? This particular contest won't be opened again, but I may do other contests in the future. I'll definitely post journal notifications for any other contests I begin. Alynna? Can you make it so that people with cracked copies of Minecraft can go into your sim? PWEASE??? Sure, maybe ^_^ Hit me up in chat sometime and we can get acquainted and see if anything sparks. Belated thanks for the watch, and how you been?